The local community in Lambeth have responded to today’s news that Commander Brian Paddick has been cleared of all charges by demanding that he be reinstated to his job. "Brian Paddick should be reinstated in Lambeth". "We expect our Borough Commander to be reinstated immediately. Brian Paddick won the confidence of the Lambeth community and we wish to see him continue his good work. It is imperative that we have an innovative and creative lead to work closely with the community, to form favourable partnerships with the community to reduce crime and increase community safety." Brian Paddick's style of radical policing was a breath of fresh air for Lambeth in particular and for the police in general. Now he has been cleared, it is only fair that he should be allowed to return to the borough, continue to develop what he started so successfully, and be given the chance to put the last year behind him. 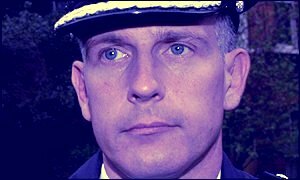 Now that the CPS have cleared Brian Paddick it's time for Commissioner Sir John Stevens to keep his promise and return him to Lambeth as Commander, and show us that it is he who runs the Metropolitan Police and not the tabloid press or homophobic police officers. "Brian Paddick distinguished himself in this borough by his ability to unite the police and the community in targeting crimes which cause the greatest damage. This strategy is now paying dividends and, now that he has been cleared, he should be returned to see it through." "Policing in a borough like Lambeth needs leadership from someone who does more than just talk the talk of community policing. We are told we are about to see an increase in Stop and Search, a policy demanding just the sensitivity which is Paddick’s strength."